One, two, three. We're the noodle guys! We're from the hood and our nood' is good! One, two, three, and here comes the fourth. We are the Fab 4 and we're in Mongkok! Welcome, to BaoBourdain Eye For The Noodle Guys. 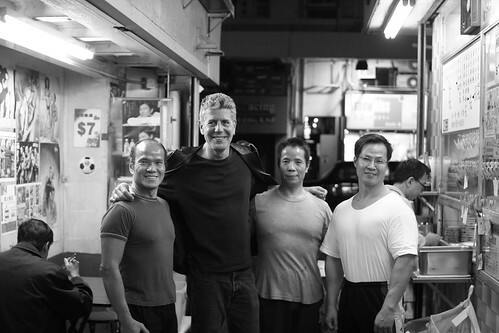 For four fabulous signed books of Mr. Bourdain, please go to the donation page and buy raffle ticket for AP34!